We are happy to pass on the news that there is another new Dorothy Parker play coming to New York. 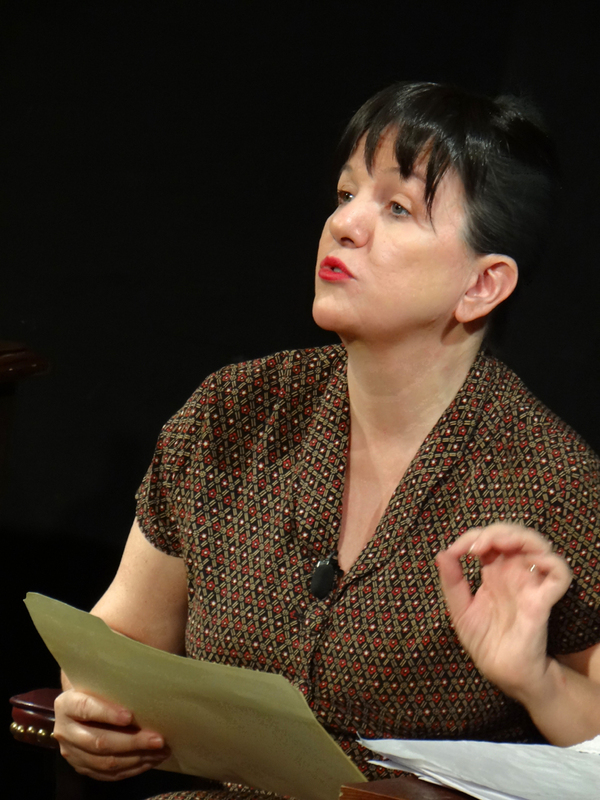 Grove Goddess Productions is pleased to present The Portable Dorothy Parker—a one-woman play written by Annie Lux, directed by Lee Costello, and performed by Margot Avery—in FringeNYC, the 2015 New York International Fringe Festival. The year is 1943; the place, New York City. Dorothy Parker—famed for her wit and her presence at the legendary Algonquin Round Table—is on the warpath. Viking Press is about to publish a collection of Dorothy’s poems and short stories, and Dorothy must make the selections. Now. An editor is about to show up at her door. Even worse, a young woman editor. They could have at least sent a man, preferably a good-looking young one. But of course all the men worth their salt are off fighting the Germans or Japanese, including Dottie’s husband, Alan Campbell. Alan’s recent leave didn’t go very well. She probably shouldn’t have accused him of sodomizing the elevator boy; it did rather put a damper on their last evening together. As Dorothy sorts through her works, she reminisces about her life: her famous friends (Lillian Hellman, F. Scott Fitzgerald, and, especially, Ernest Hemingway), the wits of the Round Table (Alexander Woollcott, Robert Benchley, George S. Kaufman), the founding of The New Yorker, and her many loves and heartbreaks. Has it all been worth it? Has she made her mark as a writer, or is she merely “clever”? The Portable Dorothy Parker has been developed over the past few years by playwright Annie Lux, director Lee Costello, and actress Margot Avery, and has been developed at Ensemble Studio Theatre in New York City and presented at the 2014 Piccolo Spoleto Festival in Charleston, SC; at the Hollywood Fringe Festival and the Blank Theatre in Los Angeles; and at the Leslie Cheek Theater at the Virginia Museum of Fine Art in Richmond, VA.